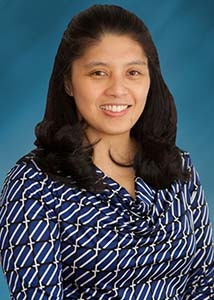 Dr. Trina P. Monis is an Associate of the American College of Foot and Ankle Surgeons, with board qualification in reconstructive foot and ankle surgery. She is available at our Salisbury, MD and Cambridge, MD Locations. Dr. Monis grew up in Portsmouth VA. She began an early pursuit in the medical field, becoming a volunteer on the Orthopedic floor of Portsmouth Naval Hospital and serving as a junior volunteer Emergency Medical Technician at Bennett’s Creek Rescue Squad in Suffolk, VA, both while still in high school. Dr. Monis graduated from Virginia Polytechnic Institute & State University with a Bachelor of Science degree in Education. She then attended Sentara Norfolk General Hospital School of Cardiovascular Technology and became a Registered Cardiovascular Invasive Specialist. The majority of her 10 year career was spent in the Cardiac Cath Lab of Providence Heart Institute in Columbia, SC. Dr. Monis then switched gears in her career. She attended the William M. Scholl College of Podiatric Medicine at Rosalind Franklin University of Medicine and Science in North Chicago IL, where she obtained a Doctor of Podiatric Medicine degree and Bachelor of Science degree in Biological Sciences. Following graduation, she completed 5 years of residency training in Podiatric Medicine and Surgery to include diabetic limb salvage and lower extremity wound care at Staten Island University Hospital in New York, and reconstructive foot and ankle surgery at Presence Saint Joseph Hospital in Chicago IL, serving as Chief Resident at both programs.